Rectangular pincushion with pins pushed in around the edges. Covered in white silk, paper medal applied to the front is in the shape of a cross with a red white and blue ribbon to top. 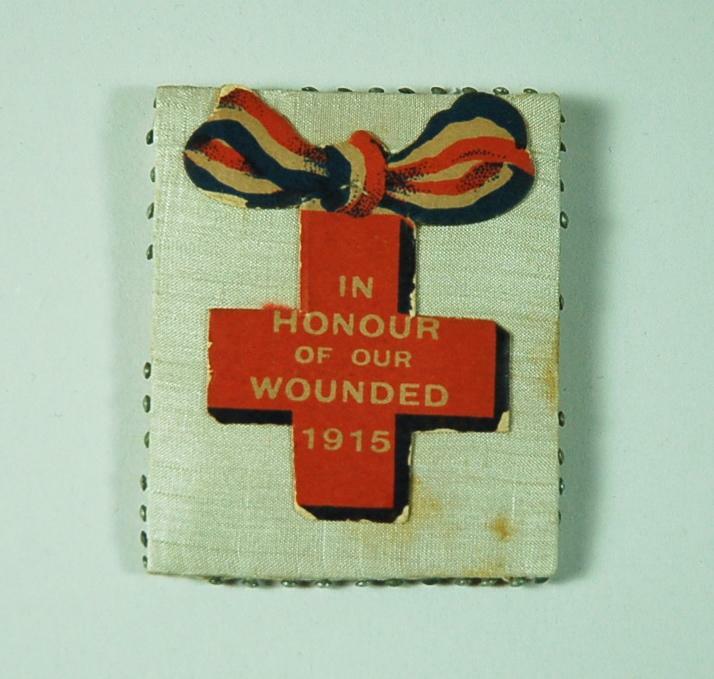 Medal reads "IN HONOUR OF OUR WOUNDED 1915", reverse plain.